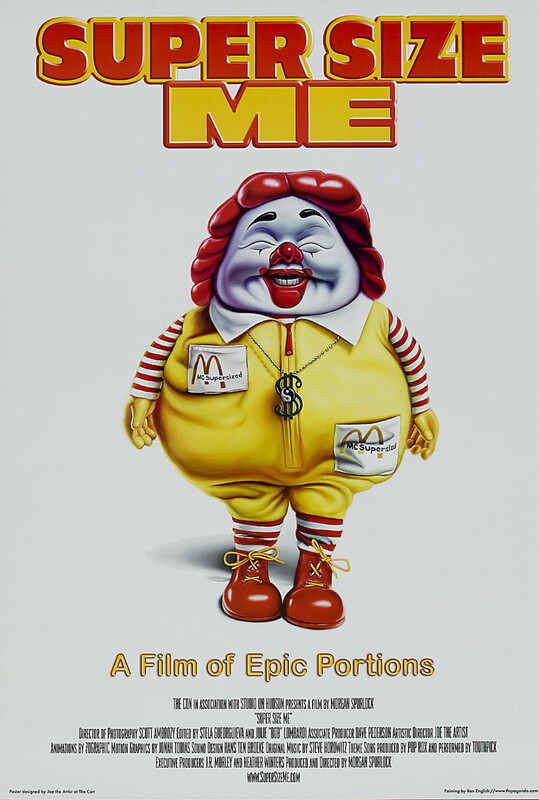 Super Size Me is a documentary film that seeks to spotlight the negative effects of eating fast food from McDonald's. The director embarks on a mission to eat at McDonald's for a total of 30 days straight for breakfast, lunch and dinner. He must also agree to have each meal "super-sized" if the employee asks. Along the way he conducts a variety of interviews with people in the food industry at both the consumer and corporate level, and he routinely has his health monitored for any changes. He finds that the food culture of America is rather distorted and that a lot of people make it more difficult for Americans to make healthy choices. At the close of the film, McDonald's officially does away with the option to "super-size" meals.